Guests peek at the tiny Design, Photography and Illustration winners from the ADC 93rd Annual Awards in "The Carousel." Work to see the work. Guests pedal their way through the Gold Cube-winning Advertising entries. 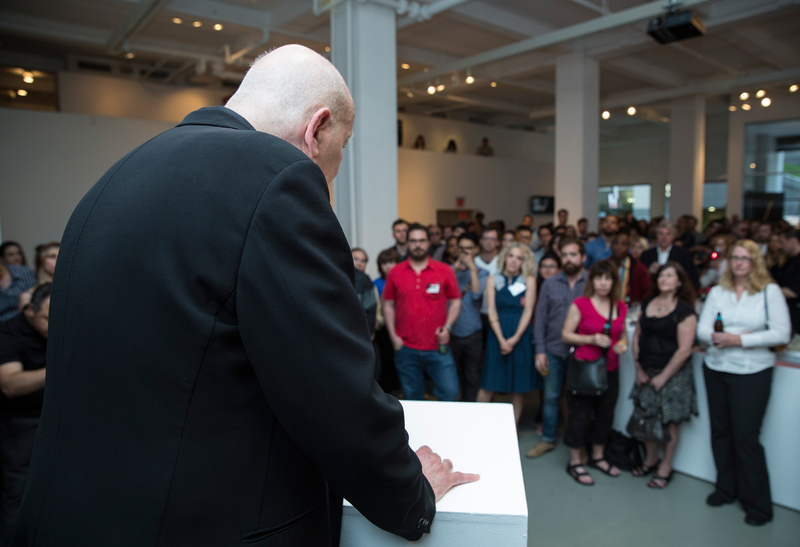 ADC Hall of Fame laureate George Lois addresses the audience. A packed house to hear George Lois, ADC Hall of Famer and former ADC President. 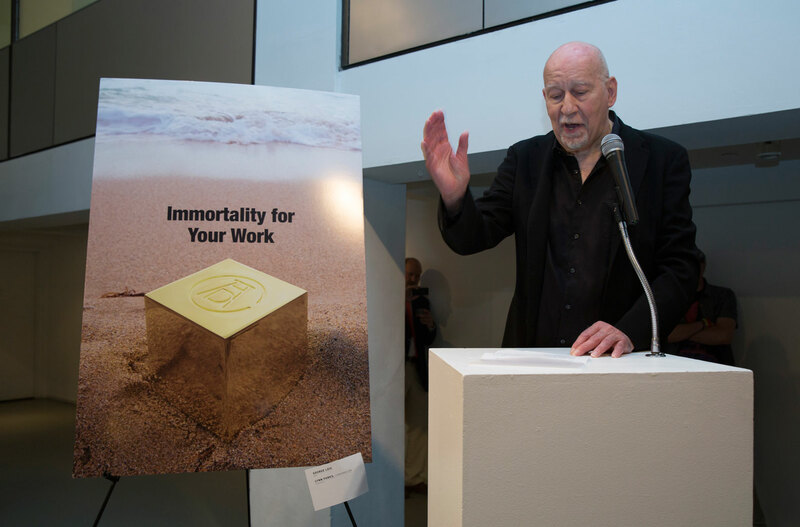 ADC Hall of Fame laureate George Lois unveils "Immortality for Your Work." 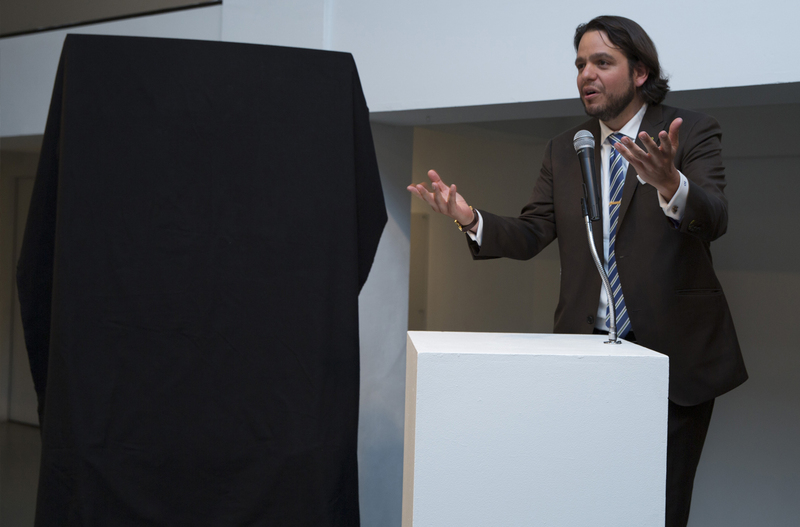 ADC Executive Director Ignacio Oreamuno welcomes an excited audience to the ADC Awards Exhibition in New York. 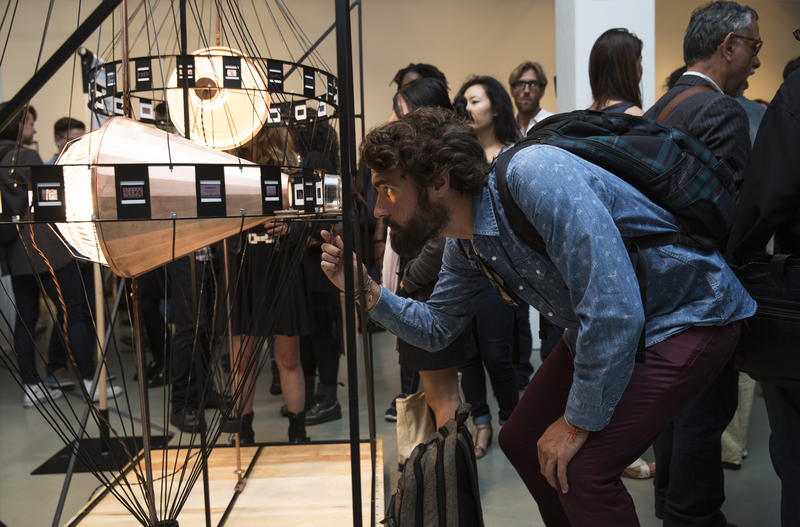 Last night the ADC Gallery was transformed into a mechanical wonderland of wood, copper and creativity, as the club’s all-new Awards Exhibition was unveiled before an appreciative crowd of creative legends and newcomers alike. Created in partnership with Shutterstock and Sid Lee, the ADC Awards Exhibition reinvented the club’s International Traveling Exhibition, taking the work off of the walls and into a series of beautifully crafted mechanical contraptions. 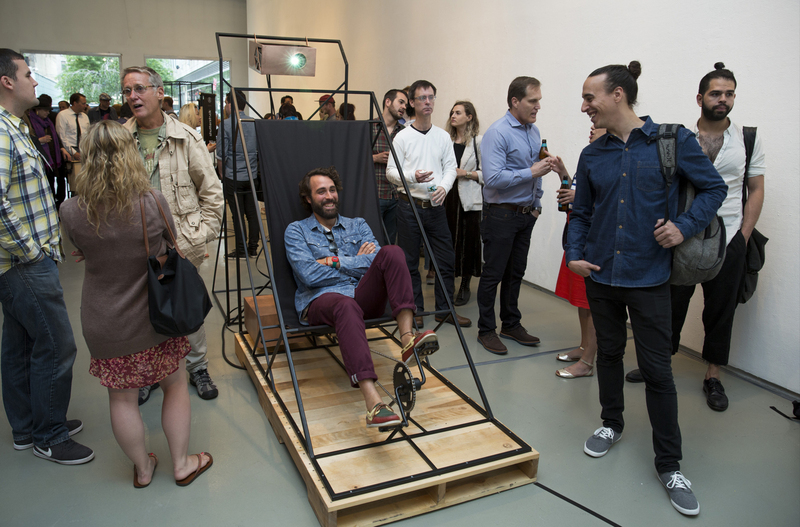 The very best work from the ADC 93rd Annual Awards, the 2014 Tomorrow Awards and ADC Young Guns 11 now reside within a piano, a photo carousel, a recumbent bicycle and a pair of arcade-style joysticks. 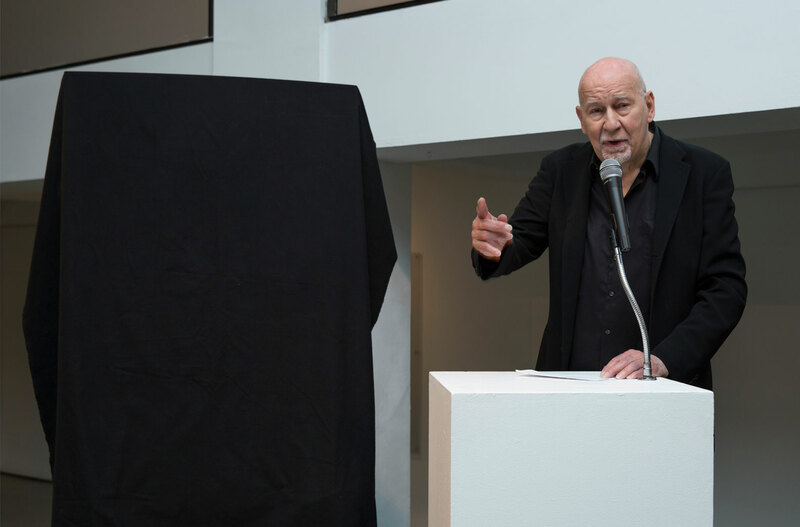 This sentiment was continued by the evening’s special guest speaker, ADC Hall of Fame laureate George Lois. Pondering on the very recent passings of fellow Hall of Famers Massimo Vignelli and Tony Palladino (whose works were also on display last night in memoriam), George recalled a conversation he had with Massimo. 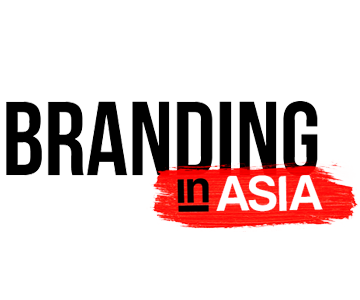 This led to the unveiling of “Immortality for your Work”, a call to arms that will be prevalent throughout ADC over the coming years. 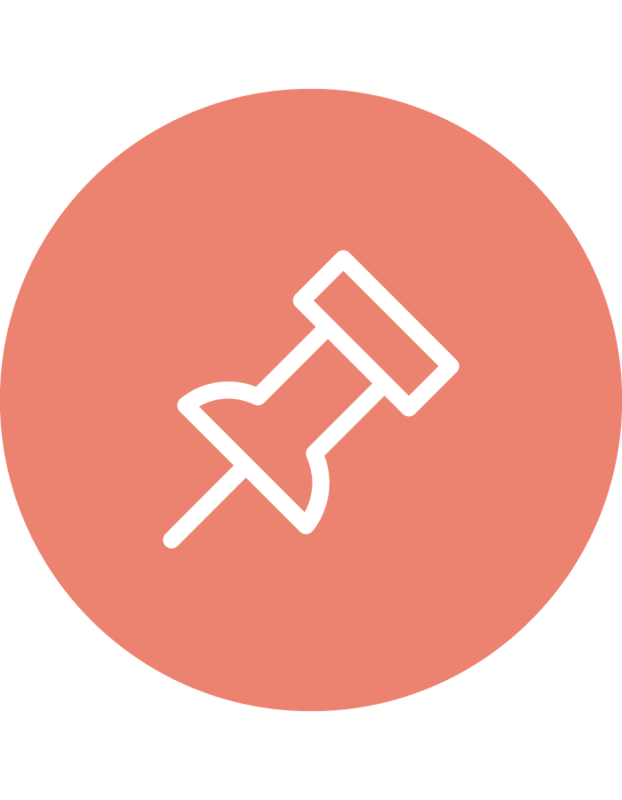 The ADC Awards Exhibition will be on display at the ADC Gallery from now until June 26 during regular Gallery hours (Monday–Thursday, 10am–6pm).